Stripes are classic and suitable for all seasons, add some colors and floral and you've got the perfect stripes for summer! I love this chiffon tunic top from Persun, it seriously looks good with everything. You can pair it with jeans, skirts, or shorts like how I've styled it here with cute scalloped shorts in the loveliest shade of peach. 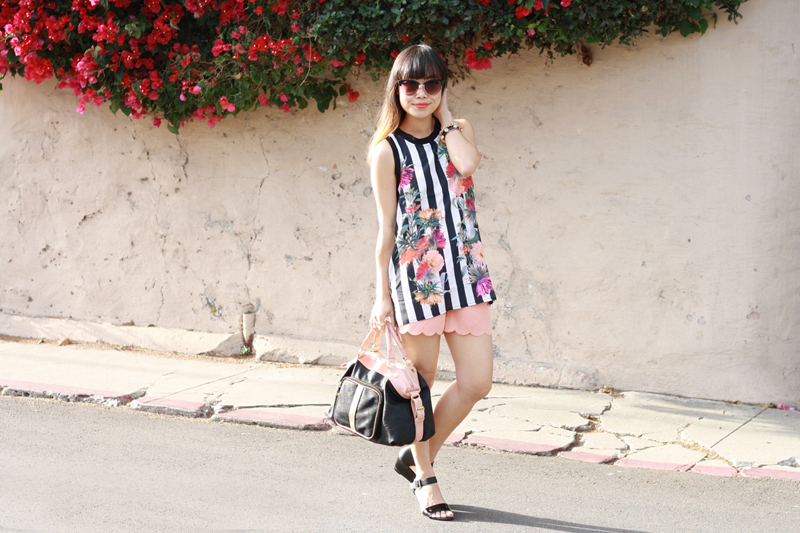 I pulled the whole look together with a two tone handbag and simple strappy wedged sandals. 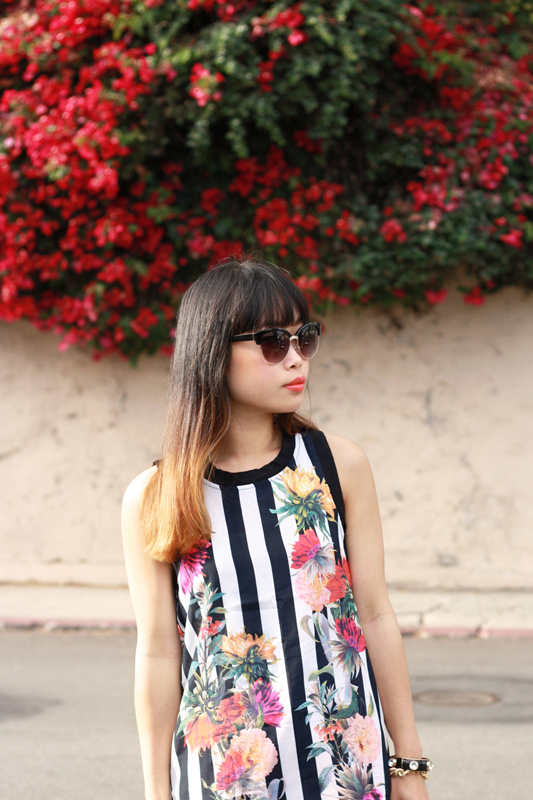 Easy, breezy, yet playful and chic! 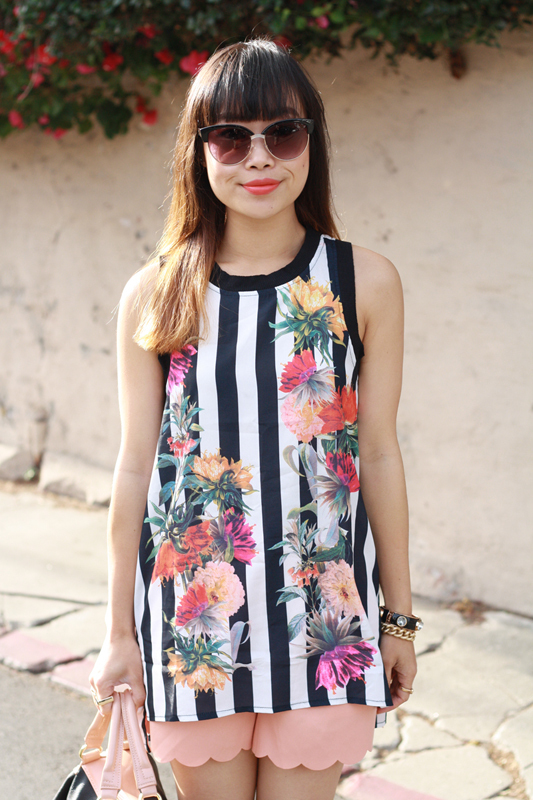 Floral stripes tunic top c/o Persun Mall. 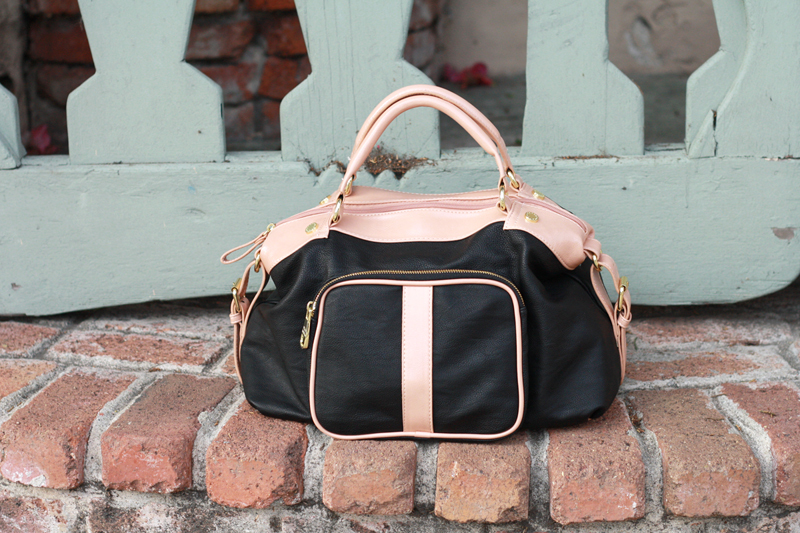 Two tone handbag by Steve Madden. 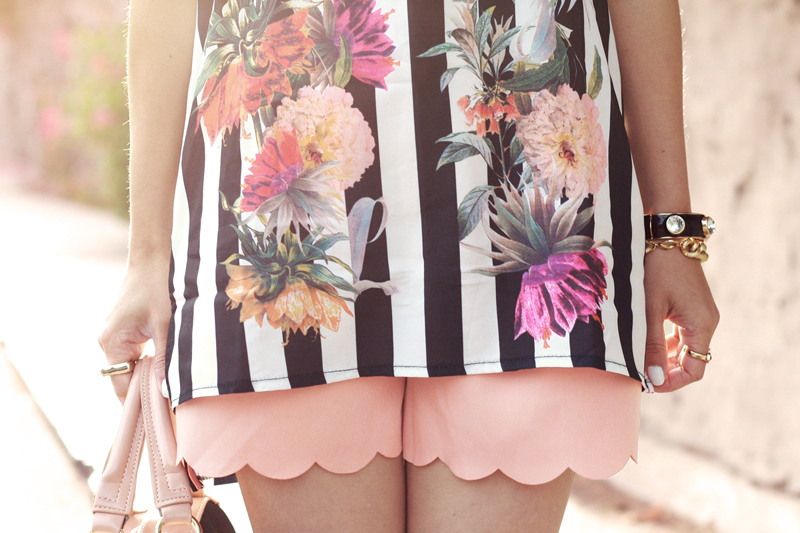 I absolutely love the floral stripes print! This is so pretty! Floral are my favourite. so gorgeous! 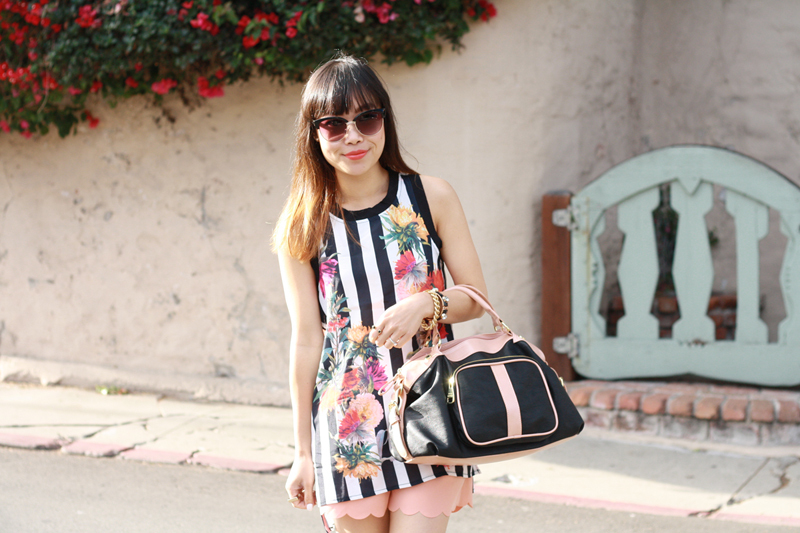 I love floral over stripes!